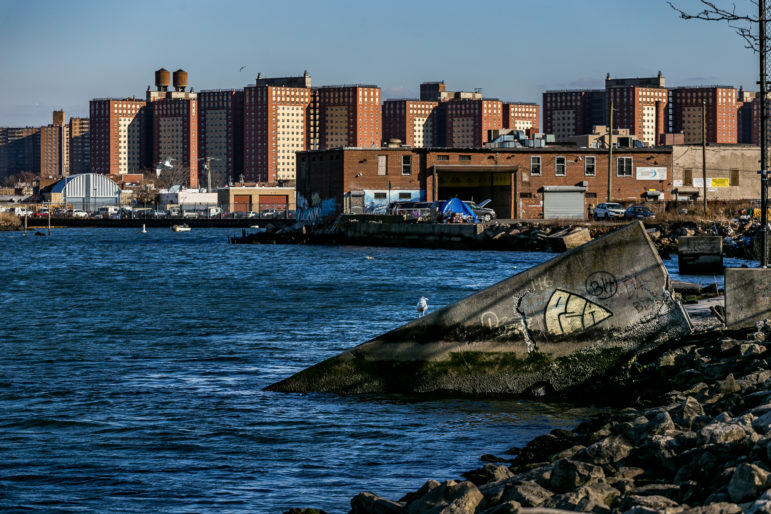 City investigators have found more than a dozen buildings encompassing nearly 1,000 homes whose sewage was running into Coney Island Creek via an illicit connection. Inspectors are looking for other illegal hookups leading to the polluted Brooklyn waterway. The first sign of trouble came on a Friday, the last day of last June, when inspectors found that a company was spewing 1,000 gallons of untreated sewage each day through an illegal connection to a drain that spits out into Maspeth Creek. Six days later, another firm was found draining 400 gallons a day into the same pipe. Three weeks later, a third business’s illegal connection was exposed—this one pumping 800 gallons into the waterway daily. Maspeth Creek is a stubby offshoot of Newtown Creek, the meandering waterbody that marks the western end of the Brooklyn-Queens border. Newtown is one of 11 waterways in the five boroughs that the federal government has commanded city officials to clean up after decades of violations of the Clean Water Act, the landmark federal law that aims to make all U.S. waters fishable and swimmable. A home could have a sewage pipe connecting to a storm drain that flows to a river, rather than a sewer main that goes to a treatment plant. A business’s sewage line could run right to the waterfront through an ancient pipe. And it’s not just sewage that’s at issue. Businesses might flush toxic chemicals into storm drains that flow to a city river or creek, or let rain wash waste oil or industrial fluids off their waterfront property into a canal or bay. 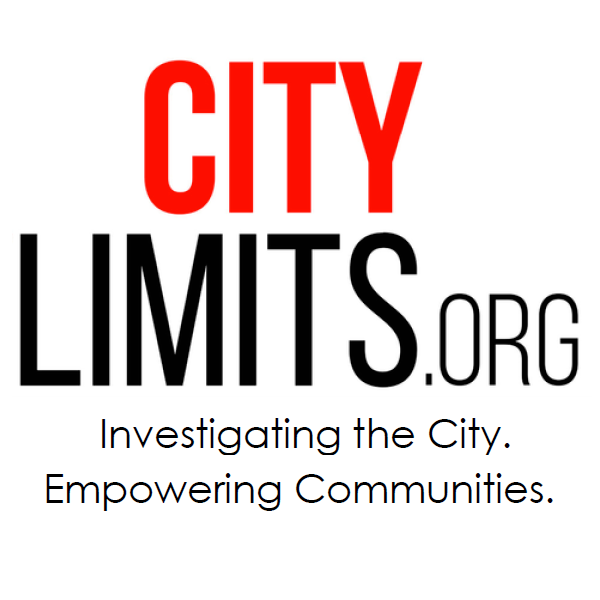 The city monitors its waterways to detect when such illegal discharges or dumping might be occurring, and it works to track down offending properties and force owners to reroute their pipes to comply with the law. It catches multiple problems every year, from private homes to blue-collar businesses to public-housing complexes. are not always successful, in part because New York’s coastline is riven with pipes whose origins and connections the city doesn’t know. “Keep in mind that the city is massively huge. And really significantly old. So I don’t think that anybody really has a true handle on the actual scope of the problem of illegal discharge connections for sewage problems,” says Sean Dixon, senior attorney for Riverkeeper. New York City’s harbor is cleaner now that it’s been in modern times, a testament to billions of dollars in spending on new water treatment plants and other infrastructure projects, as well as stricter enforcement of laws and changed attitudes about dumping. This has helped to spur a renaissance for the waterfront, as a place for housing and also recreation—perhaps New York’s greatest open space, vital to an increasingly dense city. But some of the city’s tributaries are severely damaged. And for many of those waterways, illicit connections and illegal dumping add to the toxic mix. They’re a direct way that some New Yorkers, probably unwittingly, perpetuate an old tradition of soiling the waters we all own. Two of the city’s waterways—Newtown Creek and the Gowanus Canal—are such ecological disasters they’ve been enrolled in the federal Superfund program, which remediates decades of environmental damage and aims to get polluters to pay for the work. Newtown Creek’s reputation as one of the dirtiest waterways in the U.S. hasn’t stopped Willis Elkins and other members of the Newtown Creek Alliance from regularly donning life jackets and climbing into boats to take water samples and enjoy the natural beauty that Newtown—despite its troubled history—manages to display. They also look out for illicit connections and other illegal discharges. On a motorboat tour of the canal last May, Elkins noted a large pipe near Kingsland Avenue where he has seen a chemical slick sometimes, a possible indication that something was spewing out of the pipe that shouldn’t. Every few minutes as his boat glided deeper into the creek, another pipe or tunnel—the term of art is “outfall”—stuck out of the shoreline. If you happen to be nearby when one of them starts ejecting fluid, it’s easy to gather evidence, Elkins said: “Because the outfall is above the water line, you can just hold a bucket up to it” to get a sample. The three illegal discharges detected in Maspeth Creek this summer suggest that conclusion was optimistic. According to a recent estimate published by the state Department of Environmental Conservation, that discharge is continuing at a rate of a gallon and a half a minute, for a total of more than 400,000 gallons so far. Elkins is the first to acknowledge that simply seeing something come out of a pipe doesn’t mean anything nefarious is going on. Usually, observers look for “dry discharges” as an indication that something is amiss, because a storm drain or sewage overflow pipe should only be active when it’s raining. But while water coming out of storm pipe on a dry day could indicate illegal dumping, it also could mean a hydrant is running somewhere and pushing water into a catch basin. And the pipes aren’t the only way new pollution can get into Newtown. After all, the creek is a working industrial neighborhood. Elkins’ boat passes a large parking lot with no apparent method for keeping rainwater runoff out of the canal. Cranes fling scrap metal from a waterfront yard onto a container barge, kicking up metallic dust that settles onto the water. A concrete company on one end of Dutch Kills, another offshoot of the creek, has been cited for letting concrete waste wash into the water. Elkins pointed out a spot where Alliance monitors had seen petroleum products emanating from a pipe in 2014. Turns out a guy was putting waste oil into a storm drain; Elkins says he was ultimately caught. Those incidents don’t involve “illicit connections”—meaning an unauthorized pipe or connection to the city’s storm or sewage outfalls—and involve industrial chemicals rather than raw sewage. But they are still illegal and contribute to the poor health of the waterway. U.S. Environmental Protection Agency acting deputy regional administrator Walter Mugdan says his agency tested sewage overflows to both Newtown Creek and Gowanus Canal found no significant industrial waste in those pipes. But he’s quick to note that doesn’t mean it’s not getting in some other way. DEP does have a rigorous system to monitor industrial firms that have permits to release chemicals into the sewage system. Why not just go around a fully block-up every single illegal out flow pipe into our canals, streams & rivers? Our rivers and streams are inundated with storm drains that carry the filth of humanity to our dying oceans. Our oceans are full of plastic used condoms, tampons, medical waste, diapers, cigarette buts which all break down absorb PCBs and is now being ingested by phytoplankton. Phytoplankton is the beginning of the food chain and supplies 80% of the planet’s oxygen. Our oceans are suffocating and vomiting up life forms all over the planet. This issue is imminent and irreversible. Couple this with deforestation, animal production, and our heat engines sucking up oxygen and converting it to CO2 and it becomes obvious we are going to suffer a toxic, hypoxia event. We need not pause and wait for global warming. Our atmospheric oxygen level is 21% some areas are at 17% at that level you get light headed, eyes burn some get sick and some die. And the advocates that often prod the city’s Department of Environmental Protection to act faster to address pollution support the move. Sort of. But water-quality advocates are seeking more than just better engagement. It is one of the most polluted waterways in the country. It’s at the crux of efforts to restore health and improve access to New York’s waterways. And from the vantage point of a small motorboat, Newtown Creek somehow manages to be beautiful.